Spirits of Amoskeag – Celebrating Two Years! 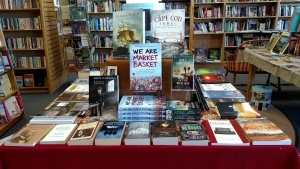 Thank each of you for making the Spirits of Amoskeag book so successful. Peter Paulson and I have been honored to share the spirits’ memorable stories, and have many new stories to share as well. Since we made a commitment to you, our readers, to let you know what has happened with the spirits, we are now planning to share monthly stories on this website and to our Fans of the book: Spirits of Amoskeag Facebook group. For instance, one year ago, I was sharing quite a businesslike PowerPoint presentation on the Spirits book with a group of intuitive individuals. There were many questions asked and several people had intriguing mill-yard stories of their own. At the end of the night, one very intuitive practitioner approached me and asked if it was my birthday. I said no, not until November. She said that the whole time I was talking, there was a young man standing next to me holding a cupcake with a single lit candle. He seemed intent on giving it to me. She kept telling him, “Not right now, she’s talking!” Then it dawned on me… that very day was the one year anniversary of their book. On that day, one year before, five preliminary copies of the Spirits of Amoskeag book were placed in my hands for review. I had totally forgotten about it; however, the spirits remembered! Memorial Day weekend will always stand out in my memory as the day their story was told. We are honored to have been of service to these wounded young heroes. They deserved so much more in life and we are committed to helping keep their memory alive. Once the book was published, Peter and I continued to meet weekly to gain more information and to help others in need. After three years of regular meetings, we have helped hundreds, maybe even thousands of spirits to find peace. As such, we have entered into a business arrangement to assist others to clear their personal energy and homes. If you have experienced disturbances from possible spirits around you, your home, or know someone who has, we invite you to schedule a Clearing Consultation to discuss how we might be of assistance. There are many stories that we would like to share about the spirits of the mills and other similar stories. 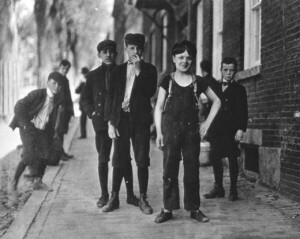 For instance, in one session, four superintendents or owners of the Amoskeag Mills came through… sheepishly embarrassed by their actions and asking for forgiveness. They let us know that initially they felt their intention was honorable. The children had been so mangled when they were caught in the huge machinery that the only help that could be given was to gently euthanize them. 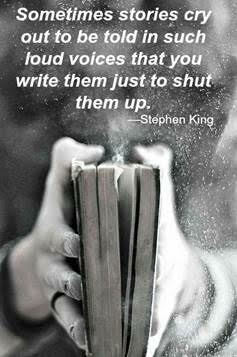 As executives, they were afraid to let the word get out to the public, so they covered it up. Over time, children with less life-threatening injuries were eliminated as well. For this they were deeply sorry. They even told us of other sites that bodies were buried. Sometimes, the young Amoskeag spirits will check in just to say “thanks” and to show us they are happy and grateful. Other times they come through with requests. After a meeting with another intuitive friend, she said that one of the boys came to her in a dream, asking if we would hold a Mass for them. They had been so unceremoniously dumped that they wished for a proper burial ceremony. We are in the process of arranging a Mass in their honor to celebrate their young lives from so many years ago. Numerous people have let us know their own “ghost” stories of the mills. The Spirits book has given many people an explanation for the things that they have seen or sensed in and around the mill-yard buildings. We are happy to share some of these fascinating tales as well. If you are interested in hearing more stories like these and would like an opportunity to share yours, please check watch out www.SpiritsofAmoskeag.com website or join our Fans of the Book: Spirits of Amoskeag – Facebook group. With thousands of cases over dozens of years, I am planning a comprehensive, didactically-based training program to teach other spiritual based hypnotists compassionate ways to truly help lost spirits. Attendees will discover step-by-step techniques that have been developed from treasured teachers on my journey. I feel there is much work to be done to help the living find their peace by assisting lost spirits to be at peace. If you are interested in learning more, see the Spirit Release Training info on my LoisHermann.com website, or reach out to me privately. We thank you for your interest in the unseen spiritual world. We wish you much peace, hope and happiness on your journey. Click HERE for an amazing video introduction. 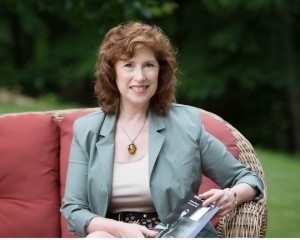 Yvonne Dunnetz invited me to be on her WSMN radio show where I shared some of the stories of the making of Spirits of Amoskeag, the Wounded Heroes of the Manchester Mills. Here is the radio interview. Bunny Michael is 103 years young. Wow, what an inspiration to so many with her positive attitude and zest for life. 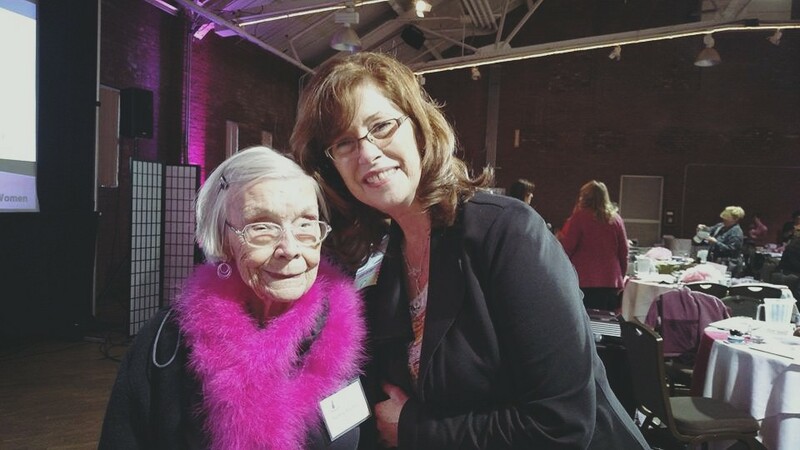 We met on the dance floor at the Women Inspiring Women Conference where she received honorary member status, sporting her bright pink boa! Bunny shared some great stories with me about growing up in the mills. Her dad worked his whole life in the mills and she lived nearby. She remembered that people worked very hard, yet were well taken care of. She even remembered a story about a dear friend who drowned in the raging water when the bridge went out when she was only about 6 or 7 years old. Great to know you Bunny! You are such an inspiration. 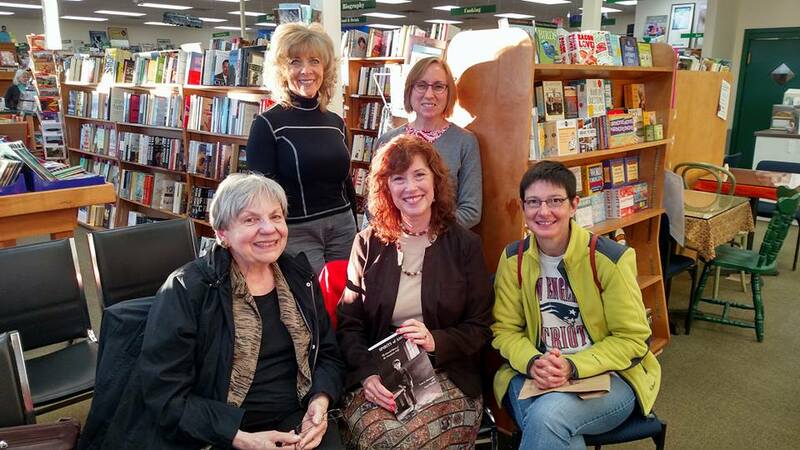 Wonderful time at the book signings these past few weeks. 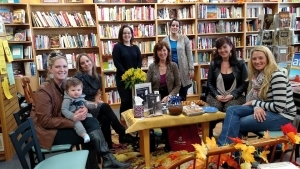 Had a wonderful time at the Book Cellar in Nashua in October. Met some awesome people who were really open to the spiritual aspects of the book. Many left before the photo was taken. They even asked about starting a spiritual book discussion group. Hmmm thinking about it…. Of note, it turns out that one of the young women who attended, Emily, has an uncle who works for Catholic Charities as a priest in Canada. She plans to reach out to see if he can locate Marie’s box dated 1874! Wouldn’t that be amazing!!! 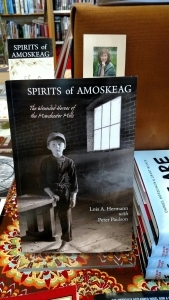 The Spirits of Amoskeag book is officially on display at The Book Cellar bookstore in both their Nashua and Manchester stores. This is so exciting! The Spirits’ book is out of the gate… on it’s way to tell their story to the world. Many thanks to Emma at The Book Cellar. Hello, and thank you for expressing an interest in the Spirits of Amoskeag story. I am so excited to finally get the book into your hands. It has been quite the journey in the making. That said… some of you who purchased the very first printing may notice that the “Forward” is missing. If you have one of those 20 books, please let me know. I will send you a free PDF, e-book or Kindle version of the final edited book. Now that all edits are complete, it will printed next week, with e-pub versions to follow. So many wonderful helping hands have made this story possible. Please let us know your thoughts about the book and your own special stories about the mills as we continue this journey.